1. 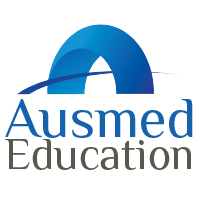 Log into your Profile from the Ausmed Education homepage, using your Username and Password. 2. Navigate to your CPD Organiser Homepage by clicking on the CPD Organiser icon. 3. Click the Add CPD Activity icon in the middle of the page. 4. Fill in the necessary details about your Activity, and click Save Activity. Title of Resource: The name of the Activity you are trying to add. Start and End Date: The dates when this Activity was completed. Please note that you are only able to choose dates within the selected Registration Period or Profession. Provider: The provider of the Activity. CPD Hours: The CPD Hours allocated to this Activity. For an Activity with a provider other than Ausmed Education, see your provider for clarification on this. For content including eBooks without a set period of time, document the time taken to complete the Activity. Topics: The topics covered by the Activity. Multiple Activities can be selected using the on-screen keyboard instructions. Type: The type of Activity being entered. For any online Ausmed content, select e-Learning and fill in the sections that appear below. You can also add any comments to your Activity, and select any Learning Needs it might relate to. 5. Complete the Activity Evaluation, clicking Save for each of your answers, before clicking Finish Evaluation. Please note that this step is a crucial part of the CPD process, as this Evaluation will appear on your CPD Report. 6. You're finished! Your Activity should now appear in your completed hours on your CPD Organiser Homepage. You can always go back and edit any details about completed Activities and their Evaluation. Just scroll to the bottom of the CPD Organiser Homepage, and under Evaluated Activities you can click the Edit or Re-Evaluate buttons for any completed Activities.